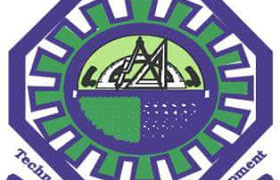 The Federal University of Technology, Akure (FUTA) is using this medium to notify staff and students of her institution that the online registration for the 2018/2019 academic session has commenced. Undergraduate Students and registration officers are to follow the procedure stated below for registration exercise. Login with your JAMB Registration No. [Fresh Students Only] OR Matric Number as Username and your Surname (in CAPITAL OR UPPERCASE) as Password. You will be required to supply your valid Email Address and Phone Number and change your password before you can proceed. In case you forgot your password, click on the forgot password link on the official website and supply your JAMB Registration OR Matric Number, your Registered Email address and Phone Number and your new password and click on send to reset your password and send to your registered Phone Number and Email Address. Passport(not more than 1 month old), Birth Certificate, Certificate of Local Goverment of Origin, Court Affitdavit, Attestation Letter, Jamb Admission Letter, Olevel Result(s), NCE/ND/HND if Direct Entry. 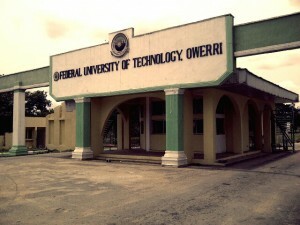 After clicking on Finalize, your olevel results that you have supplied will be screened and if you passed, you will be instructed to generate invoice here and go to any of the bank listed on your invoice any pay your school fee on ETranzact Platform only, otherwise contact the Live Chat below for assistance. Your payment due will be available as Debit under Student Ledger. To make any payment, you have to select the payment, generate invoice from which your TRANSACTION ID will be made available. Present the TRANSACTION ID on the Invoice at any of the Banks listed on your invoice and make the payment on ETRAZACT PLATFORM ONLY. You have to confirm your payment under the Confirm Payment Section and Print your Official Receipt. Select the hall of your choice and click on APPLY NOW and await SMS for offer of Accommodation if offered. Follow the rest of the instructions afterwards to complete your Accommodation process. For Fresh Students, your courses will be displayed for you to select appropriately, submit , print and present to your your Level Registration Office for approval. Please when is the deadline for Pgd students to pay their school fees, and when is late registration commencing? Awaiting your reply thanks.